Pittsburg Gift Show-Pittsburg, Pennsylvania, USA. Western New York Gift Show-Rochester, New York, USA. To maintain Nepalese tradition, art & culture and introduce them to the international market. Eco-friendly production, create new opportunity and upgrade the skill & creativity. Upgrade poor, so-called untouchable cast and marginalize community. We “Alpine Pashmina House Pvt. Ltd.” want to take this opportunity to introduce ourselves, as we are one of the Pioneer and leading Cashmere/Pashmina manufacturers and exporters from Nepal. On the behalf of Alpine Pashmina House Pvt. Ltd,’ we would like to offer you all our products at most reasonable and competitive prices and the same time maintaining originality and quality standards too. Officially, the Company was established in 2004 AD under the “Small and Cottage Industries Act” of Nepal and it was also got registered in Company Register Office, Kathmandu in same year. 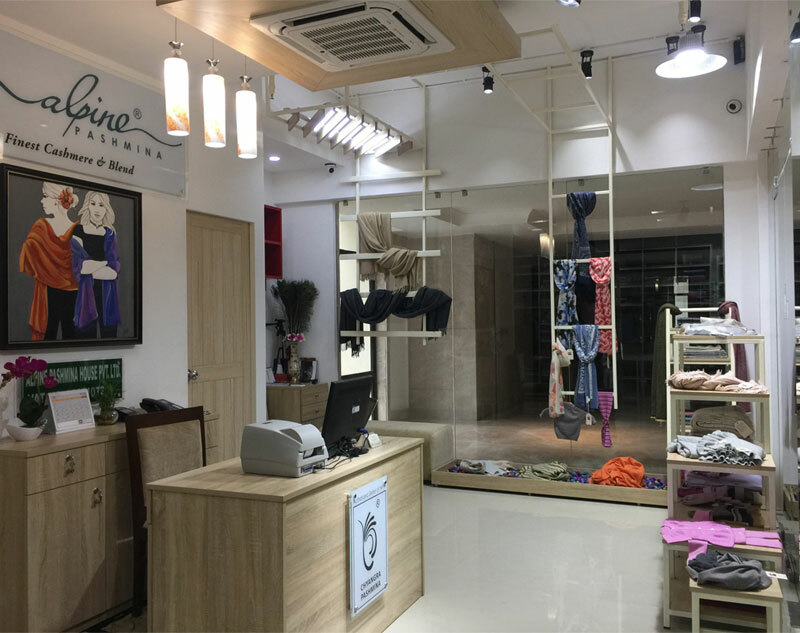 We have been in this field since more than two decades, so from this our long professional experience and expertise in this field, we have now able to gain name and fame in the international markets as one of the most reliable and competitive Cashmere manufacturers and exporter companies in Nepal. We want to assure all our valued customers that we provide 100% assurance in all our products in terms of quality and finishing works that may be of your interest. Hence when you are buying from us, you are buying directly from the factory and paying for the genuine pashmina products at most reasonable prices and your payment is risk free.